While your business is still unable to surface and garner attention from potential customers, Redmond Digital Marketing, probably one of the best Perth SEO Agencies believes that you might need to develop your marketing strategies in order to help your credible business climb all the way up. Emerging towards the mother lode from rock-bottom might be a strenuous journey, but with the right tools, appropriate technological aid, and adequate marketing strategies, your struggling company would in no time be one of the leading businesses in your industry. Getting ranked and linked on the first page of Google is pivotal to attract new leads, references, and traffic towards your website. This Perth SEO Firm holds the credibility of not only helping your business grow with its website optimization techniques, but it also helps your website improve and provide better opportunities by taking hold of different marketing tactics accordingly. WHAT IS SEO AND WHY IS IT IMPORTANT FOR YOUR BUSINESS TO GROW EXPONENTIALLY? SEO stands for Search Engine Optimization and comprises of a variety of pioneering marketing strategies that work together to generate and subsequently, enhance traffic and potential leads towards your business. Due to the fair advantage of the internet today, most users tend to turn to search engines such as Google for their queries. 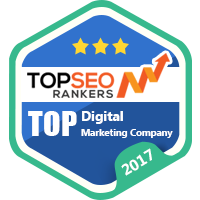 Getting ranked on Google organically and optimally via SEO is probably the best solution to garner and attract enough attention from a variety of people, which would, in turn, be helpful for a business to grow. Mentioned below are a few reasons why SEO is essentially vital and highly important for your business and website. It is not a surprise that most of today’s Internet users are drawn towards the top-most suggestions as mentioned on the result pages (SERPs) in response to your queries. In order to claim those positions, you need to hand over your business’s marketing account to Redmond Digital Marketing, the best Perth SEO Experts, who not only would work to enlist your company amongst the searches on the first result page of Google, but this step would also allow your business to grow exponentially. SEO also enables a vast majority of people to find you, and thus attract them to choose your company and services for their queries. It is also estimated that 3 out of 4 people are more likely to refer to the top results on Google or any other search engine. SEO also helps to garner trust and a sense of sensibility as it minimizes questions in response to dependability, usability, and experience due to top search engine ranking. SEO also ensures that your business will run smoothly since it not only guarantees amiable user experience, it will also make sure that your website has enough good quality content to maintain the generated traffic and streamline through competition. Redmond Digital Marketing knows how to persuade your customers with the right incentives. Mentioned below are 4 reasons why these Perth SEO Experts recommend and cater to video marketing strategies to generate attention and a lifetime worth of customers. According to statistics, there are 4 billion views on YouTube every day. Since YouTube is owned by Google, this not only helps your business to build trust and a sense of communicable relationship with your customers but also ranks and enlists your website on the second largest search engine on the internet. As estimated, most marketing executives inclusive of Redmond Digital Marketing cater to video marketing techniques to help target a wide customer interface with creativity and impeccability that guarantees assurance. It is also said that videos help to keep customers engaged and henceforth, garners responses more actively than mere content. Video search engine optimization techniques are cost-effective as well. TV ads tend to ask for a fortune and ultimately have a broadcasting limit that is exhaustible. Online videos have the opportunity to stay on the internet, which means that even if you don’t promote your video, later on, your video tends to stay online and open for discovery. Instead of spending thousands of dollars on amateur advertising gimmicks that not only fail to garner attention from a wide customer interface but also annoy internet users repeatedly due to irrelevant advertisements and pop-ups, get ahold of native SEO Perth experts and help your business enter the world of contentment, popularity and legacy. In order to get started with an expert SEO Perth agency, fill out our main discovery form and talk to our skilled representative regarding your queries and objectives. At Redmond Digital Marketing, we not only provide our customers and potential leads with free consultations, but we also make sure that their website gets the kind of revenue that they expected, and probably a lot more that will surely help their business excel and grow in all platforms.